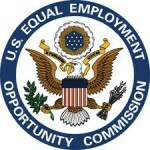 The Equal Employment Opportunity Commission (EEOC) issued its first comprehensive update of its guidance on the subject of pregnancy discrimination since 1983. It supersedes that document and incorporates significant new developments in the law since its publication 30 years ago. In addition to addressing the requirements of the Pregnancy Discrimination Act of 1978, the recent guidance discusses the application of the Americans with Disabilities Act, as amended in 2008, to individuals who have pregnancy-related disabilities. Much of the analysis in the enforcement guidance is an update of longstanding EEOC policy. Among the issues covered in the guidance are the fact that the Pregnancy Discrimination Act covers discrimination based on a past pregnancy and a woman’s potential to become pregnant, lactation as a medical condition, circumstances under which employers may have to provide light duty for pregnant workers, prohibition against forced leave for pregnant workers who are able to do their jobs, and the requirement that parental leave be provided to similarly situated men and women on the same terms. The guidance is available here. The agency also issued a question and answer document and a fact sheet for small businesses on the topic.